It’s 1943, and Miriam Coblentz and Henry Mast are nearing their wed­ding day when the unthinkable happens—Henry is drafted. However, since he is a part of the pacifist Amish tradition, Henry is sent to a conscientious objector Civilian Public Service camp. When he leaves for the work camp, his gaping absence turns Miriam’s life upside down. Little does she know it’s only the beginning... When Henry returns home, he brings news that shakes Miriam and their Amish community to the core. Henry believes God has called him to enlist in the army and fight for his country, leaving her to make an impor­tant decision: whether to choose loyalty to the peaceful life she’s always known or her love for Henry. Two worlds collide in this unforgettable debut novel, providing a fasci­nating and rare look into Amish culture during World War II. While Henry is battling enemies across the ocean, Miriam struggles between her devotion to Henry and her love of the Amish way of life. One question is at the bottom of it all: will she follow the rules of her religion or the leading of her heart? The scent of cherry pie and warm taffy tickled Miriam Coblentz’s nose. Her hands slipped through the soft taffy she was pulling. She and her partner, Eli Brenneman, were working over the soft, shiny candy ahead of the other teams. All those years of kneading dough, milking cows, and scrubbing the wooden slats on the floor with a brush had made her hands strong. Unfortunately, every other girl in the lineup next to her had the same upbringing, so she had no advantage. She looked left and right and watched as several of the girls and boys that were partnered up would occasionally steal an innocent kiss as they leaned forward, folding and stretching the taffy. When she turned back to Eli Brenneman, she caught the twinkle in his eyes and she set her jaw. “Don’t even think about it,” she scolded him playfully. “You know you want to.” He winked at her. His tenor voice danced in the air like laundry on a line in a lazy breeze. She wouldn’t let it wrap around her enough to touch her heart, even though she felt weakened in the moment. Her heart skipped a beat when the face of her boyfriend, Henry Mast, broke into her mind. He was far away at a Civilian Public Service camp, serving out his draft with hundreds of other conscientious objectors. She hadn’t seen him in over six months. “What I want is to win.” She bit her lower lip and smiled at Eli. She began pulling with more vigor. Next to her stood her best friend and cousin, Ida May. This was the last Singing Ida May would attend before she married Jesse. Since Singings were only for the unmarried in the community, how would it be to attend them without her? Ida May and Miriam had been attending them together since they were sixteen and talking about them for years before. They’d already said goodbye to the others in their tight group of friends and Miriam would be the last one left. She hated being one of the oldest spinster girls in their Amish community. All the other unmarried girls couldn’t be called girls any longer. They were in their late twenties or older and didn’t even attend the Singings. Their chances at marriage were left to the occasional widower or visitor. At least Miriam had a boyfriend, despite their separation. The taffy toughened in her hands. She and Eli were almost finished. She smiled as she worked faster, wanting to win. Eli’s white-blond hair, dampened with sweat, set off his deep-set blue eyes. He gave her a crooked smile, as though he knew taffy was not the only pull she was feeling that night. She felt eyes on her. A few people down from Eli stood Sylvia Mast, Henry’s sister. Her gaze narrowed in on Miriam. Miriam inhaled and held her breath for a long moment. Sylvia wanted to be paired with Eli, along with half the other girls, but he always chose Miriam. Should Miriam have told him no? She already had a boyfriend. She and Eli had gone out a few times before Henry asked her to date, but it was years ago and unimportant. Was it wrong of her to enjoy her friendship with Eli, taking him away from all the eligible girls? Apparently, Sylvia thought so. She tensed her jaw before she finally turned away, relieving Miriam. The sunset through the window fell across the row of arms, making the darkening taffy glisten against the orange hues. Pull. Pull. Pull. Why did she want to push instead? The chatter among the other couples picked up as there were several ready to claim their win. Pull. Pull. Her fingers were fatigued and every pull wearied her joints. Pull. It would be easier to just give up. Her muscles had worked hard enough. Small beads of sweat formed at her forehead around her kapp. Pull. Pull. Her teeth clenched. Pull. Her arms stopped moving as she examined the taffy. It had started out shiny and crystal clear and now it was a hazy, golden color. “We’re done!” she called out as she and Eli held up their taffy. Miriam’s sister Fannie, who was hosting the Singing, waddled over, holding her back as her large belly led her through the small crowd of young people still pulling taffy. She declared Miriam and Eli the winners. She patted Miriam on the arm. “Looks like you and Eli are good together.” She lifted her eyebrows. “Nah, Fannie, don’t say that.” Miriam pretended to pinch her sister’s arm, giggling at her. Miriam was the youngest and only unmarried sibling in her family. She had grown accustomed to her older brothers and sisters chiding her about getting married. Though they all knew that she and Henry had had to postpone their wedding when he was drafted, she knew they just wanted to see her happy and moving on with her life. It made for a difficult choice. Waiting until Henry’s service was fulfilled to marry made her ungeduldich, impatient, but she was determined to have the life she longed for, and that included Henry. She looked to see if Eli had heard Fannie, and his wink and nod told her that he had. He squared his wide shoulders, towering over all the boys in the lineup. A movement behind him, through the window, suddenly caught her attention. A slow swagger, an easy footfall, hands in pockets, hat tilted to the side. She gasped. How was it even possible? His camp in Hagerstown, Maryland was over three hundred miles away from her small Delaware town, Sunrise. He hadn’t written to her about having any leave time. She pushed the taffy into Eli’s arms and grabbed a towel to wipe her greasy hands, dropping the towel on her way out the door. Her legs couldn’t carry her fast enough. She stepped down the stairs and ran down the small hill, meeting Henry in the drive. He pulled her into the shadow of the house’s awning and into his arms. She cried. She nestled deep into his chest, her head just below his shoulder as she breathed him in. How was it possible that after all these months, the scent of his bar soap and the slightest bit of cologne was still so familiar? She felt his hat fall and his warm breath and mouth against her ear, her neck, and, finally on her lips. She returned his passionate kiss, letting all the frustrations of waiting and longing fall away. When they released for a moment she looked into his dark eyes. He had been worth the wait. She brushed her hand through the side of his black hair, shorter than the other Amish boys’. Her heart pounded a little harder, wondering what people would say about his shorn hair. Would he be challenged over it, even given his special circumstances? Her mother’s debilitating cataracts would be to her advantage for once, but her father would be critical of Henry. She peered over his shoulder, seeing the warm yellow glow from the windows of the daudy haus. The grandpa house, across the driveway, was where she lived with her aging parents. She could almost hear their hickory rocking chairs creak against the floorboards. While it was tradition for one of the older siblings to build a small home on their property for their elderly parents, it had never felt like home to Miriam. Fanny’s house had been the home of her youth, she missed living there. She was supposed to live in the daudy haus that Fanny had built for their parents only temporarily, but now, after several years, she’d felt herself aging as she waited for Henry. “Why didn’t you tell me you were coming?” She returned her gaze to Henry, then took his hand and began leading him toward her sister’s house. “Wait, not yet.” He pulled her back into his arms and peered into her gray eyes. At his words, her heart felt as smooth and warm as the taffy inside the house. His soft, easy speech mirrored the quiet and private Henry she had fallen in love with years earlier. While he had all the friends he ever could ask for, he often desired to be with only her. It was what drew her to him from the beginning. He was so different from the loud and rowdy boys that filled their community. His serious and thoughtful ways had always intrigued her. “I wanted to surprise you.” He traced a finger along her jawline. She began to shiver from the inside out. The cold and the thrill of Henry’s arrival caused a physical reaction she couldn’t have anticipated. He rubbed his hands against her arms, warming her, then took off his coat to wrap around her. “The shirts you and my mem sent with me are so worn through, they are not worth wearing unless I’m working. I had to buy a shirt off of one of the boys at the camp.” Henry’s eyes veered from her own, concerning Miriam. “No.” He pulled up his suspenders. Miriam didn’t budge her gaze as she patiently waited for answers. Henry’s shoulders sagged and he sighed. “It was a boy from Ohio. They don’t wear stand-up collars like us. Don’t be upset. I have some shirts at home and can change as soon as I get there.” He cupped her face, his smile nearly dripping onto her set jaw. She softened at his touch. His love was palpable, and she wanted to carry it as close to her heart as she could. “Four days.” Henry’s jaw tightened, and his eyes wandered from her face again. The light of the fading sun caught Henry’s eyes just right. Was it the shining of their joy that emerged from his eyes? He sniffed and diverted his face from her. A tremor burned through her stomach and heart. Was the camp extending his two-year service? Had some other girl caught his eye, someone who served their food or cleaned the barracks? Many of them weren’t even Amish. “What’s wrong?” Her voice was insistent. “Henry Mast, is that you, my boy?” Miriam’s neighbor Nancy Poole called over as she left Miriam’s front door. Nancy had been the district’s most dedicated driver and all-around helper. Miriam enjoyed her charming and enthusiastic manner, and though the Amish community only needed a driver for an occasional errand into town and emergencies, she still greatly preferred Nancy to any other driver. “Hello, Miriam. I was just over to see your mother for some tea,” Nancy said, out of breath from the short walk. Her large frame was clothed in a housedress and coat. “I’m sure Mother enjoyed that.” Miriam’s mother, Rosemary, and Nancy were so different, opposites even, and their friendship consisted mostly of Nancy talking and Rosemary listening. “All done with the camp life, are you?” Nancy’s eyes bounced between the two. “I’m just home on leave,” Henry answered. “Are your boys well?” He took Miriam’s hand and pulled her closer to him. Miriam felt the heat rise in her face. She wasn’t accustomed to any affection expressed in front of others. They said their goodbyes and watched her walk away for several long moments. “She’s a good woman,” Henry commented. “I thought you wanted us to be alone?” He was avoiding her question. She knew it. “I should go say hello.” He picked up his hat, returning it to his head, then put an arm around her waist and led her to the house. Miriam noticed the taffy pull was long over, and several of the girls quickly moved away from the windows when they saw them coming. As they got to the door, she removed his coat. Miriam was taken off guard by his comment but steered it back to her concern over his shirt. He didn’t need any extra negative attention right now. Usually, Miriam could handle change, but Henry had changed because of the camp. It frightened her. She could only hope it was for the better, though his hair and shirt did concern her. Before he left, the community saw him as one of the most loyal boys in the district and even had hopes of him becoming a preacher. Had that loyalty changed as easily as his appearance? The vivid memory of her sister Kathryn walking out the door for the last time, breaking their hearts and blemishing the family, dashed through her mind. No, she couldn’t bring any more shame to her family with Henry’s new ways. She couldn’t think of anything worse. Once Henry returned for good he would have to go back to how he used to be, his look, his seriousness, his love for the church. They both had to remain faithful in all ways. Surely, the old Henry she’d fallen in love with was not so severely changed. She hoped. “For me? Please?” She handed him the coat. He slipped it on and winked at her. She pulled him close for a kiss. She touched his face, letting her fingertips graze the line of his jaw. She stroked his face several more times, enjoying the feeling of his closeness and the smoothness of his skin. He had been shaving more often at the camp, instead of growing out his beard as the boys usually did when they got baptized. What would people say? The door opened, silhouetting a large, square-shouldered figure just inside the door frame. “Eli!” The best friends shook hands vigorously. “Henry Mast. Welcome back.” Eli returned a wide grin as they released their grip on each other. Miriam saw a sharpness behind Eli’s eyes, however, and his voice was softly laced with annoyance. It reminded her of their time in school when he congratulated Henry for winning a foot race when it was clear he was angry for losing. Was he upset that Henry was visiting? His words hung heavy in the air. Miriam glared at him, not knowing what to say. Why was he acting this way? They had spent more time together at the Singings, sure, and he’d driven her home on occasion when it was too far for her to walk, but those weren’t dates. She was committed to Henry. “What, you can’t take a joke?” Eli tipped Henry’s hat off of his head. Henry’s laugh was the only one that rang genuine as he picked up his hat. He must have believed Eli was joking. She forced hers out like the bleat of a goat, and Eli’s was just as unnatural. She wanted to be mad at Eli for what he’d said, but couldn’t. They’d been friends too long, and he was the only one out of her close group of friends who was at a standstill in his life, just like her. She was waiting for Henry’s return. Though Eli hadn’t made it clear to her what he was waiting on, it seemed clear to everyone else. Miriam ignored his whispers because she enjoyed being around her friend. They entered the house and continued through the mudroom and into the kitchen, where Henry was greeted with handshakes and hearty welcomes. Henry stiffly hugged his sisters, Sylvia and Rachel. She watched as he explained how long he’d be home. “Don’t tell Mem and Dat that I’m home—I want to surprise them,” he said. The girls agreed, and he moved on to say hello to the rest of the group of young people. Miriam watched him, satisfied that he was home. When the kitchen grew uncomfortably warm and a rim of sweat formed around his brow, she felt guilty for asking him to keep his hat and coat on. “Go ahead. I know it’s hot in here,” she whispered in his ear. He immediately obliged, handing her his hat and coat to put away. She hoped that since the excitement of his sudden appearance had passed and couples were beginning to pair up for their drive home, no one would notice his changed appearance. He winked at Miriam before walking away. “Eli Brenneman.” Miriam spoke between her teeth. He didn’t acknowledge her. He winked at her before joining a conversation with several friends. She took care not to appear angry as she went to put Henry’s things away. She wanted to tell Eli that it was none of his business, but she knew better. Everyone knew everyone’s business in the community. That was just how it was. Sometimes it was through the expected chatter that help arrived when you needed it; other times it caused hurt feelings and misinformation being relayed from home to home. Eli didn’t respond, which infuriated Miriam. In defending Henry, she was reminded of how she’d done the same thing before Kathryn finally left. Though this situation was completely different, she reminded herself. Henry had had no choice in joining the Civilian Public Service. Eli followed Miriam back into the kitchen. Miriam’s head whipped to see if anyone else had heard him before she glared at him. Surely he was joking. But his wild blue eyes showed no hint of humor. Her heart thudded in her chest. She loved Henry. Eli knew that. “Are you ready to go home?” Henry walked up to Miriam and Eli, seeming not to notice the tension between them. “I’m ready.” Miriam ignored Eli as she walked back into the dim room to gather their things. Ida May was also ready to leave, and even though she was angry with Eli, she and her cousin giggled about Henry for a few moments as they put on their capes and bonnets. “Eli’s as mad as a bull,” Ida May whispered. Ida May had never brought up Eli’s interest in Miriam to her before. Heat instantly rushed through her. If Ida May noticed Eli’s attentiveness to her, who else did? She’d shrugged it off for so many months, and it angered her to have to deal with it now when all she wanted to do was focus on Henry. For the rest of the evening, she and Henry talked and ate pie in the dimly lit empty kitchen of the daudy haus where Miriam lived. Her parents had gone to bed before even realizing Henry was there. It took her a short while to relax after the anxieties of the evening. She had to force herself to stop thinking about Eli’s advances and Henry’s changes. She let herself laugh and enjoy herself more than at any other time since Henry’s draft notice. All she could think about was that she’d get the chance to see him again the following evening. A thrill jumped through her. In her sleep that night, a haunting scene played over and again in her dreams: Henry and Eli pulling at her heart like taffy, forcing it to toughen. They weren’t working together like the couples at the Singing, but against each other. She felt Eli’s grip tighten. She couldn’t move. It squeezed, weakening her breath. Henry’s hold was soft and gentle. It moved her instead of holding her solidly in one place. Didn’t he want to hold her tighter? Didn’t he want to win? 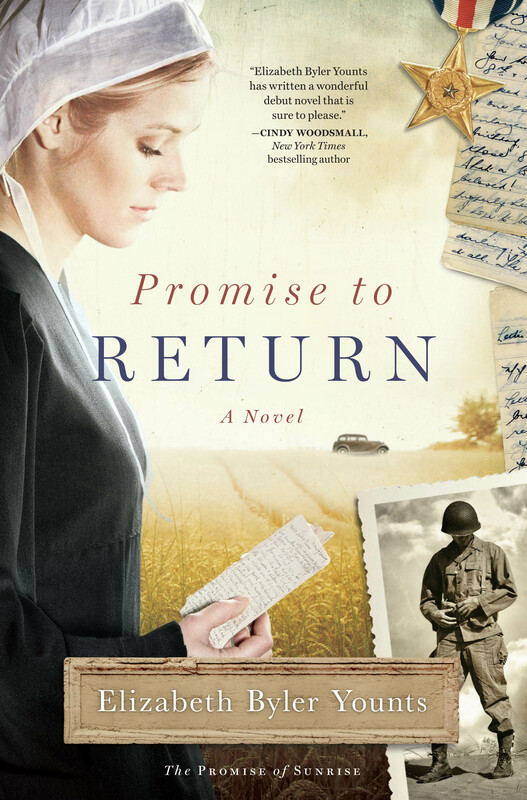 This reading group guide for Promise to Return includes an introduction, discussion questions, ideas for enhancing your book club, and a Q&A with author Elizabeth Byler Younts. The suggested questions are intended to help your reading group find new and interesting angles and topics for your discussion. We hope that these ideas will enrich your conversation and increase your enjoyment of the book. Miriam Coblentz and Henry Mast are a young Amish couple in love, yet to be wed, living during the time of World War II. Their dreams of marriage and a family are put on hold when Henry is recruited. Initially Henry serves as a conscientious objector at a Civilian Public Service camp, while Miriam waits longingly for him to return. And he does, except as a changed man. Henry enlists in the army, going against their Amish ways, believing that God has called him to fight in the war. Miriam is left to decide between loyalty to her church, beliefs, and parents or the young man who holds her heart. A physical war sets a context for a journey of faith, love, and loss as a young Amish woman battles her own internal war for the man she loves. 1. Did you grow up in a faith tradition? What are the benefits of being in community, be it faith-based or not? What would you define as your present community? 2. Henry enlists with the army, a decision that goes against the Ordnung and others’ expectations of him. Describe a time you made a decision that went against others’ expectations of you. What led you to make that decision? 3. What presuppositions of Miriam and Henry’s Amish culture affected your viewpoint on their demonstrative displays of affection? Did these consistent and romantic interactions surprise you in any way? Explain. 4. Miriam feels like life is passing her by as she waits on Henry during his time of active duty. It was agonizing for her “to watch as everyone around her continued to move ahead while she stood still, stagnated by Henry’s leaving” (page 71). Do you identify with the feeling that life is passing you by? What are you waiting on in this present season? How does your posture of waiting resemble Miriam’s? How does it differ? 5. How does Henry’s response toward Miriam’s kissing of Eli parallel God’s response to Miriam? How have others in your life shown you grace? 6. In Exodus 20:12, the sixth commandment states, “Honor your father and your mother . . .” Miriam struggles with this commandment, as evident on page 126. What Miriam “really wanted to know was what God said about what to do when the division was between her loyalty to her parents and love for her intended husband.” How does Miriam honor or dishonor her parents? How does Miriam’s struggle to honor her parents compare and contrast with the struggles for today’s generation? 7. When Miriam’s mother is burned, Miriam is far away from home with Henry, getting their marriage license. Because of this, she assumes that if she “had just followed the rules, she wouldn’t have been burned” (page 159). The “rules” she is referencing are those of her religion. Do you think Christianity is based upon a set of rules, or a relationship? Why? 8. After Miriam stands Henry up for marriage, she boldly stands up to her parents and declares her intentions to be with him. Additionally, she prays aloud for the first time. Discuss what feelings may have prompted Miriam to take these actions. 9. Why do you think rejection by her family, friends, and church did not propel Miriam faster toward a life with Henry outside of the church? Recall a time when a decision you made brought rejection from your community. Did you seek to please those by whom you had been rejected? Why or why not? 10. Identify the benefits of having an authority figure like the Aumah Deanuh and official warnings like the auh gretahs in the Amish community. 11. What is the significance of the scene of Miriam’s father’s death in chapter 20? 12. Describe the second visit from the Aumah Deanuh (pages 248-51). In your opinion, did Miriam participate in confession in any way? What are your views of public confession before the church? 13. When Miriam is finally given the chance to go see Henry, their worlds collide. “Saying yes to Henry meant saying no to her confession . . . The peace in her heart, however, told her that God had chosen for the clashing circumstances to each be part of her life. He found beauty in His plan for her” (page 260). How is this a defining moment of the way Miriam views God? What moments of ‘clashing circumstances’ have defined your view of God? Explain. 14. How does Miriam’s Mem travel her own journey of loyalty to her husband and church versus her unyielding love and commitment to her children? How do you view her Mem when she gives Miriam the white kapp at her wedding but leaves briefly afterward? 15. In what ways does the author demonstrate that war transcends all boundary lines, be it age, culture, religion, wealth, or nationality throughout her novel? 1. The Amish’s willingness toward humility, community, and submission to the will of God is at odds with the individualism rampant in today’s society. This anti-individualism is highlighted by the value they place on community and rejection of technologies that could make one less dependent on that community. Select one of the technology items below that most prevents you from investing in or developing true community. Then, choose to refrain from that item for a set amount of time, ranging from one day, one week, or a month. 2. Try a few Amish recipes this week from www.NotQuite AmishLiving.com where Elizabeth Byler Younts is a contributing writer! If you would like, bring it to your next book club meeting. 3. 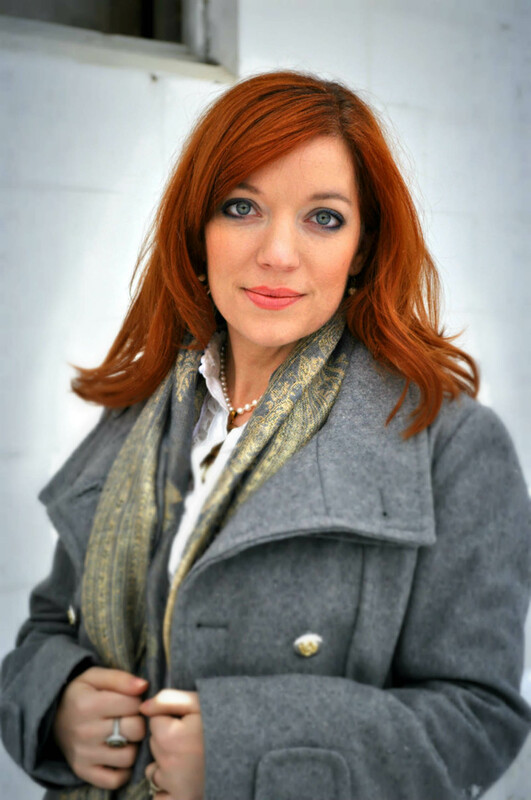 Author Elizabeth Byler Younts has also written an Amish memoir titled Seasons: A Real Story of an Amish Girl. This is a story of her grandmother Lydia Lee Coblentz, who grew up in an impoverished American family through the Great Depression. Read this memoir and discuss how this book differs from Promise to Return. 4. Widespread adoption of the home computer and Internet among the Amish does not exist. In light of this and the prevalence of letter writing in Promise to Return, write and send a letter this week to a loved one rather than an email or text. I wrote my first novel at age eleven. I was hooked. About this same time I promised my Amish grandma that I would someday write the story of her life. I think I’ve always thought in story form and “novelized” the real and make believe. It seems I have always had characters in my head telling me their stories. I love a room with a view! I wrote the majority of Promise to Return at my parent’s house in rural Michigan, while my husband was deployed. They have an amazing three-seasons room facing the wooded area behind their house. Having that natural landscape and all those windows was perfection. But often I find myself in my living room when everyone else in the house is sleeping . . . this means my “view” is usually toys and laundry. I have the TV on for background noise or I can’t write. A Starbucks couch also works. I have been mentored by Allison Pittman for several years. Her voice in Christian fiction and her amazing teaching has been integral in my own writing. I just love her as a writer and as a dear friend. Tricia Goyer has also been a huge inspiration to me. She is a homeschooling mom who still manages to write and encourage other writers. I love her perspectives on how to balance mom-life and writing-life. What was the inspiration for writing Promise to Return? Really it started with writing Seasons, my Amish grandma’s memoir. Writing historical fiction fits me but so does Amish fiction . . . so I married the two. My Amish grandpa was drafted in WWII and I always enjoyed hearing his stories about the Civilian Public Service. In exploring this I became infatuated with the amazing stories of conviction and sacrifice that I read in my research. I wanted to bring this history to readers. So, Miriam and Henry’s story was born! Your family was Amish before converting. What are some of the most common misconceptions about the Amish life- style that you experience? The concept of their simple life is true in many ways . . . but that doesn’t mean they have simplicity in their relationships. They are so very human and struggle with the same problems non-Amish do: marriage, parenting, finances, etc. Because they deal with these issues or struggles very privately, it can appear that they don’t exist at all. What Amish lessons of simplicity do you incorporate into your own family? Something that I am very adamant about is that we have family dinners together at the table without electronic distractions. We have home-cooked meals most nights and very little gets in the way of this family time. We also make time for Bible lesson and prayer most evenings with our daughters. How does your own spiritual journey shape the journey Miriam takes? Wow, this is a good question. As I wrote Miriam’s story my husband and I were living out our first deployment. It was like the historical military world of Miriam and my modern military world collided. As a military wife you know it is your job to hold down the home front while your husband is away serving; knowing this does not make it easy to do, however. My dependence on the Lord grew stronger than it’s ever been during the deployment and I could use my emotions to capture some of what Miriam may have experienced. In Promise to Return, you paint realistic and engaging scenes of family dynamics. Within those scenes, you illustrate that the Amish are equally human, with temptations, joys, internal struggles, and feelings. In what ways is the role of family and its authenticity important to you? Authenticity is a word I often use. It is very important to me to be real with my husband, children, and friends. Being perfect, or pretending to be, doesn’t help anyone. Being real with our own insecurities and failures can. Not only does this make you more relatable but it also eliminates judgment. No one is perfect. We all have our big and small hang-ups. It doesn’t mean we have to bare it all for the world to see, but when it is helpful, we should share with each other. This is especially important with children—to show them a graceful way to be real, even in failures and mistakes. At the end of your book, you note that the history of the Amish is rich with conviction that affected American politics and history. How do you see this even today? In the climate of our politics today I believe that the Amish provide a social conscience. I especially recognized this when the Amish suffered the Nickle Mines school shooting in 2006. Their testimony and conviction were visible worldwide. I was so very impressed with their example. With Promise to Return now complete, what are your plans for future writing? I’m so excited to share Book Two of The Promise of Sunrise series. It takes the reader on a journey with Eli Brenneman, from Promise to Return, as he serves in the Civilian Public Service at a mental asylum. He will meet a beautiful nurse, Christine, and both will learn more about acceptance, the value of all human life, and love. "This historical romance by debut novelist Elizbeth Byler Younts explores the many facets of conformity, community, and conviction among the Amish in the lives of very real characters. Readers will be torn between rooting for the love story of Miriam and Henry and fearing for all they might lose. A story for Amish fiction lovers of all ages." "A powerful new voice in Amish fiction rises with refreshing authenticity; Elizabeth Byler Younts recounts the historical struggle the Amish faced in WWII with insight, passion, and faith."